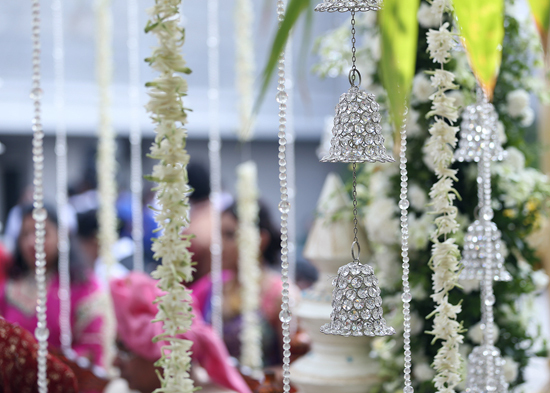 Mukta Wedding Planner and Coordinator specializes in making your dreams, fantasies & desires into reality. We coordinate, plan & organize Weddings and Renewal-Vow ceremonies with your desired theme. Mukta Events is Best Wedding Planner in Hyderabad and a Complete Entertainment Solution Provider and Planner for all your event needs. Organizing an event can be a very hectic task, when all you want to do is have a good time. No matter what size your event may be, will organize your complete event down to every last minute detail. In fact, you will feel just like a guest at your own wedding, because we leave no stone unturned and handle it all A to Z. So just waltz into celebration, forget the cares, feel the excitement, turn on the guest ! Make a statement ! It is your wedding and should be planned the way you want it to be planned. We will coordinate as much or as little of your wedding day activities as you desire, always working within your "dream" plans. You get personalized attention from the first meeting to your perfectly orchestrated wedding day. You enjoy your dream wedding while we do all the hard works for you.